It’s starting to get colder and we are waving goodbye to the sunshine and warm temperatures. Even though the seasons are changing, our team are continuing to work hard all year through! Here are some of the work that we have carried out in Bedfordshire, focussing on the beautiful oak wood! We are passionate about what we do and take great care in our work to ensure that it is to the standard of excellence. Here you can see the oak door and frame that we have manufactured and installed on the outside of a property in Bedfordshire. 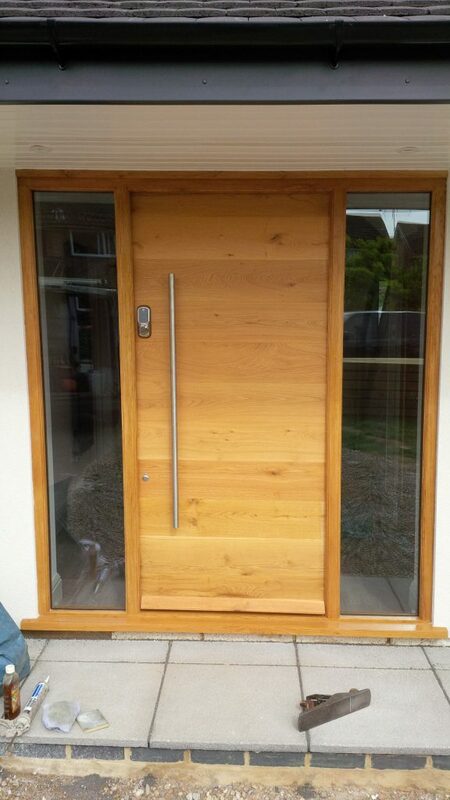 We have been able to design and manufacture this door and frame to meet all of the client’s specifications. The door is vertically boarded inside and out, which contribute to a modern and contemporary design and ambience to the property. They are joined with a satin chrome finish fitting which adds to the aesthetics. The door is then finished with a Yale combination lock and window accents to the sides of the doors. 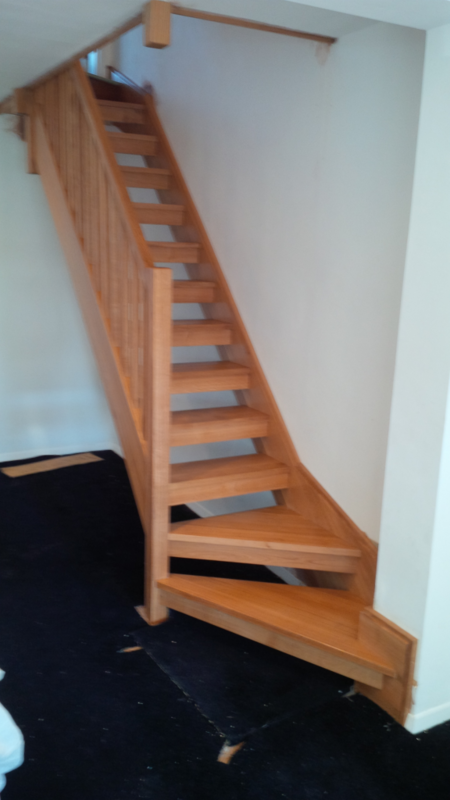 As you can see from the image above, we fitted these beautiful oak stairs to another property in Bedfordshire. Oak is always interesting to work with and looks especially nice in the interior of your buildings. This type of staircase is an open riser style with carefully crafted, stop chamfered spindles. Finished with a Liberon oil, this enhances the natural colour of the wood and offers long-lasting protection. If you are interested in any oak fittings or want to find out more about our joinery and carpentry services, get in touch with us today! We are able to provide bespoke furniture to clients throughout Bedfordshire and will do our utmost to design and manufacture whatever you invision.